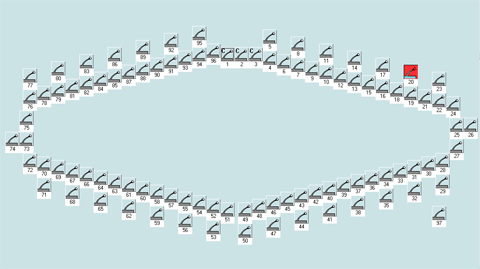 Displaying 13 posts matching `bosch`. 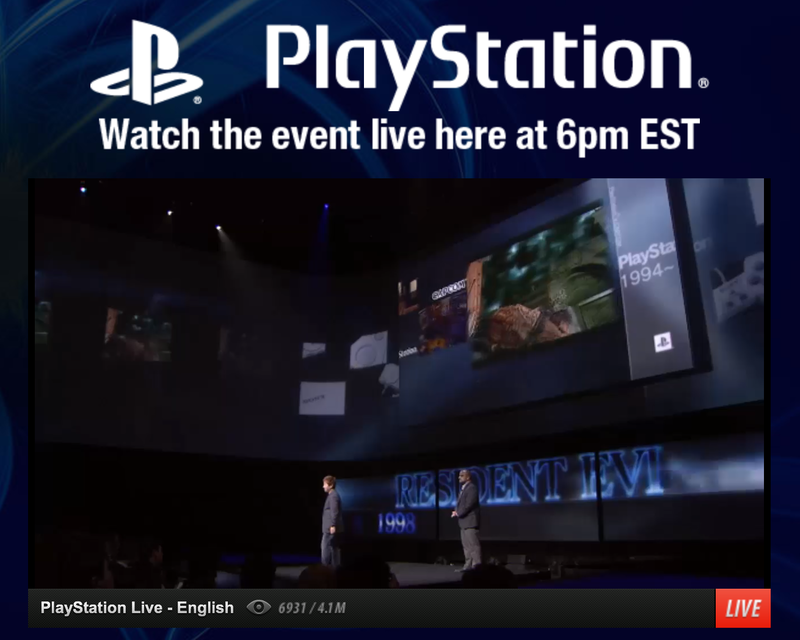 Show All Posts. 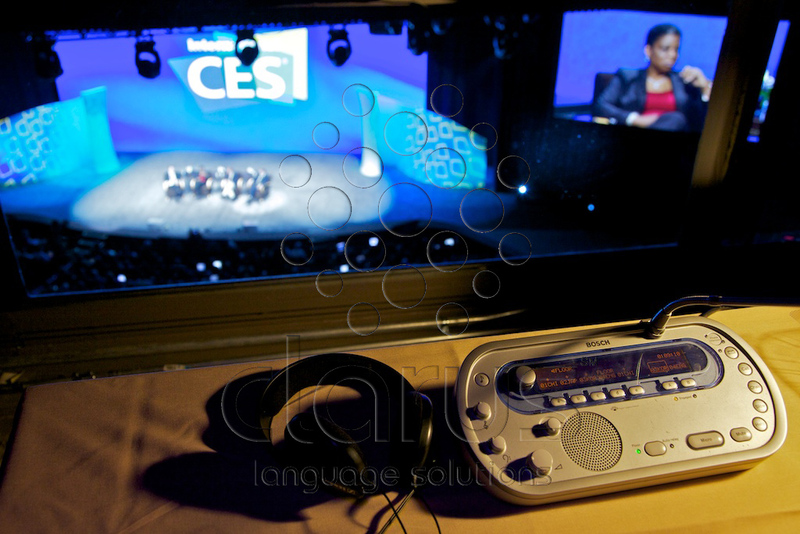 For the sixth year in a row, Clarus provided simultaneous interpretation equipment including fully encapsulated booths and Bosch Next Generation systems to multiple venues of the Consumer Electronics Show in Las Vegas. 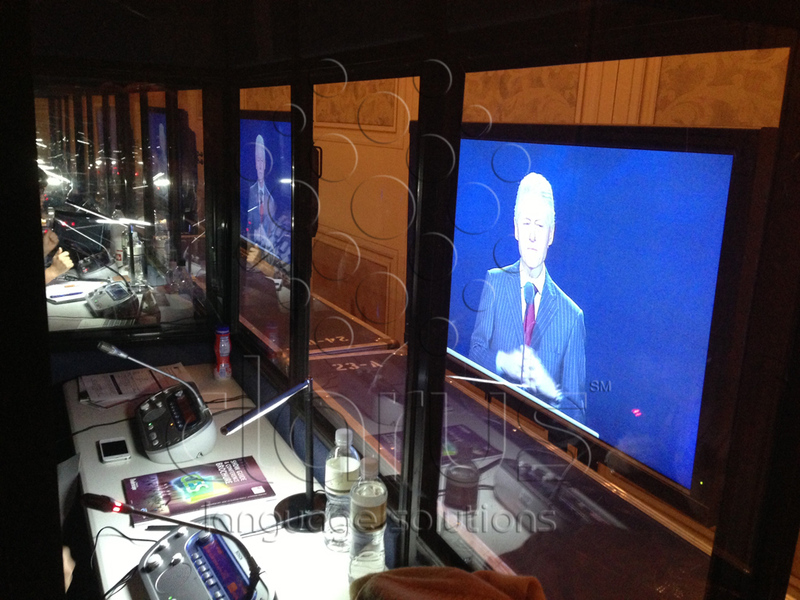 Our technicians installed and managed two separate 4 language, 300 receiver systems - the main system for the keynote speeches at the Venetian, and a system at the Westgate Theater, along with portable systems for some briefings. 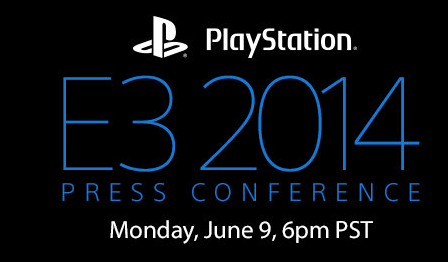 Keynote speeches this year included CTA/Carnival + Huawei, C-Space + Nissan, and Qualcomm + Under Armor. In March, Clarus facilitated communication in over 30 languages in different locations all over Paris! 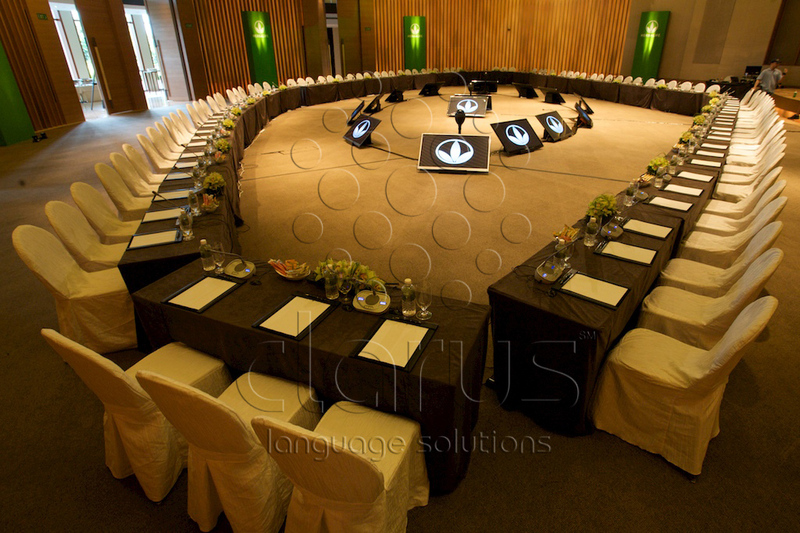 Executive conferencing at the Four Seasons on the Champs-Elysees. 130 participants speaking 6 languages were brought together with our Bosch push-to-talk discussion microphones with language distribution and integrated automatic HD camera system. While these executives attended to global business, we were handling a 4 room event for another client at the other end of the city. 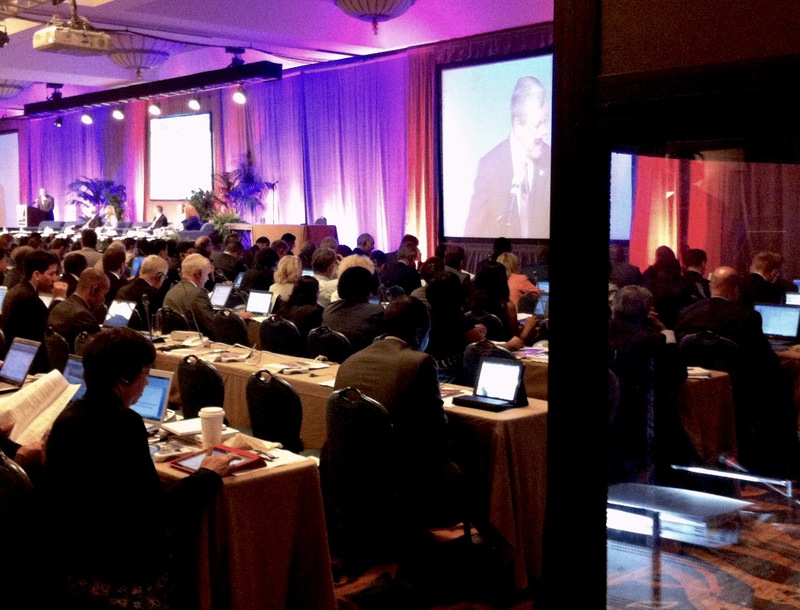 700 attendees from around the world were understanding international presentations and breakouts by field experts in four languages through the use of multiple Bosch infrared systems at the JW Marriott. 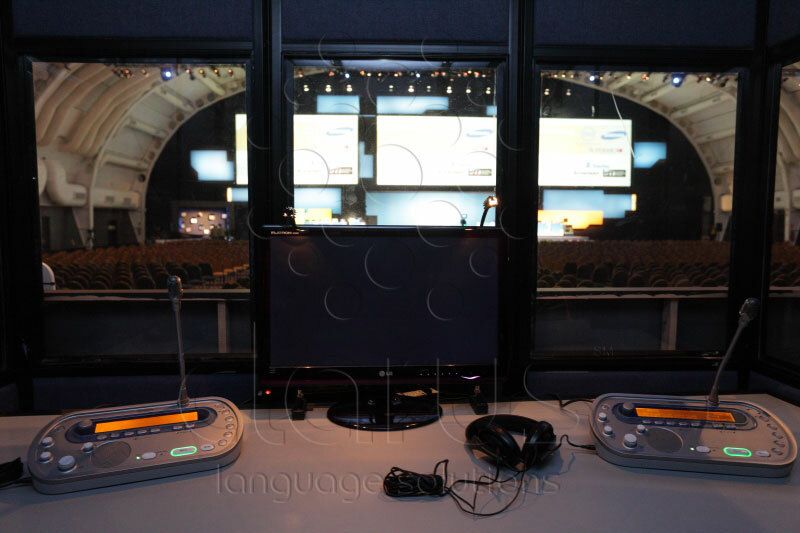 At the same time, a further 50 interpreters came from all corners of the world to simultaneously interpret 24 languages at the Paris Expo for a four day conference and gala awards ceremony. No matter where your next event is, Clarus delivers!!! For the second year in a row, Clarus is providing simultaneous interpretation equipment including fully encapsulated booths and Bosch Next Generation systems to multiple venues of the Consumer Electronics Show in Las Vegas. 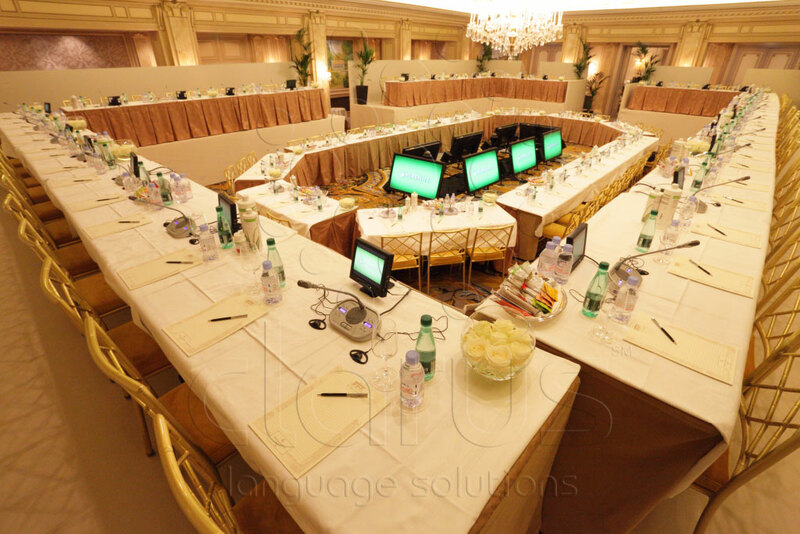 Our technicians are managing three separate 4 language systems - the main system for the keynote speeches at the Venetian, and two systems in the Theater and a ballroom at the Las Vegas Hilton. 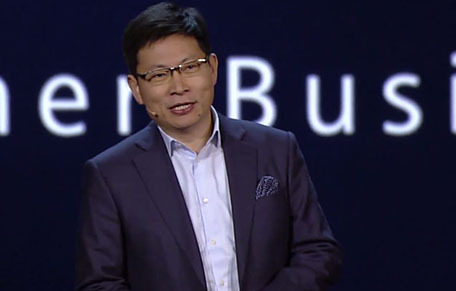 Keynote speeches this year included Qualcomm (Paul Jacobs) and Verizon (Lowell MacAdam), Panasonic (Kazuhiro Tsuga) and Samsung (Stephen Woo) as well as the state of the industry address by CEA's Gary Shapiro. Also an appearance by former US President Bill Clinton (pictured). Clarus is the nationwide leader in Bosch DCN equipment, with the largest inventory of push-to-talk microphones and receivers in the US. Recently, Bosch profiled our work on their website (boschsecurity.us/en-us/AboutUs/PressReleases/Clarus+Language+Solutions+builds+bright+future+with+Bosch+infra-red+conferencing+technology.htm">read more). We just completed another one of our regular recurring events for Herbalife, this time the high level meetings were held at the amazing Capella Hotel on Sentosa Island in Singapore. 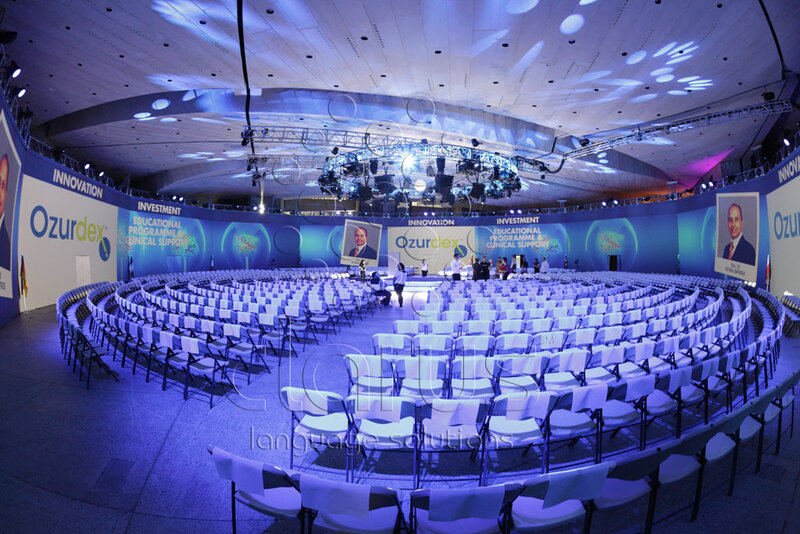 A 96 seat discussion system with 3 cameras and 5 languages of remote interpretation from another room enabled 3 full days of communication between attendees from around 20 nations. As usual the Bosch NG system provided audio along with a switched multi camera video stream to both the remote interpretation booths and the meeting room itself. This setup enables a more intimate experience for participants who are able to view the current speaker on monitors and so do not have to strain to view the far side of the room when the speaker may be located on the other end of the capacious table layout. Click here to view full post with VR content. Just finished the 2011 CHOD conference in Hawaii. 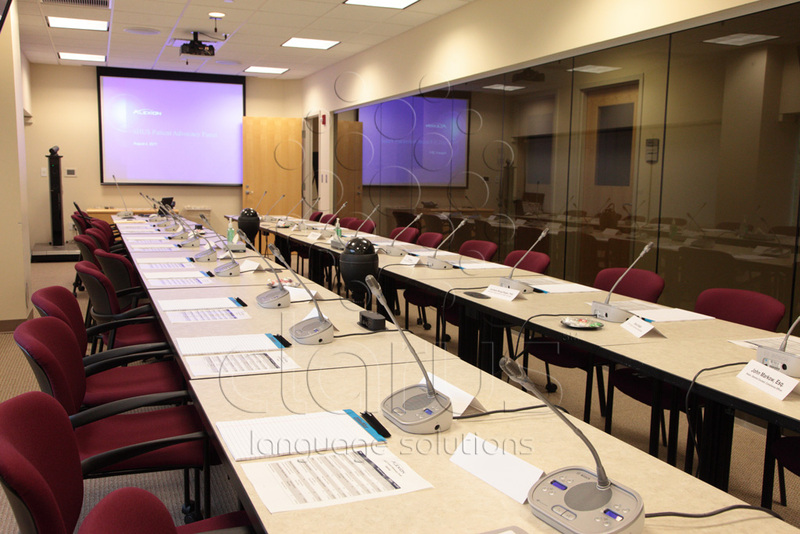 5 rooms of discussion and conference systems with 11 languages of centralized simultaneous interpretation and audio visual support. 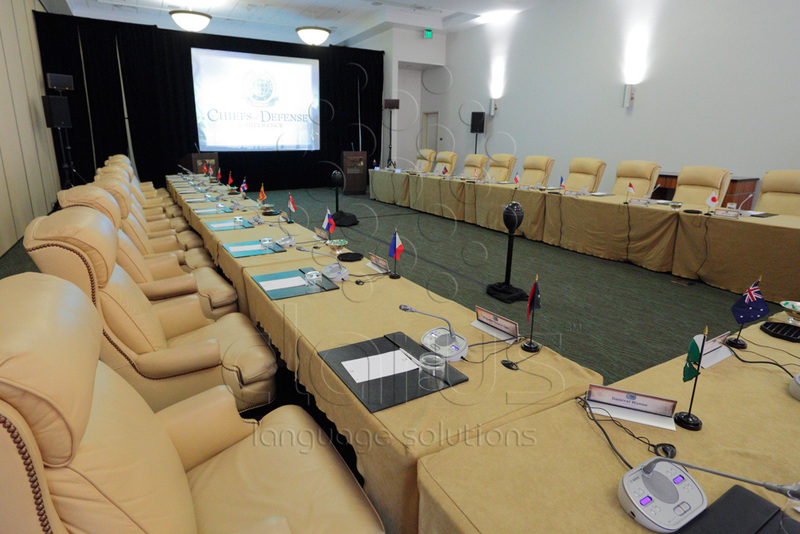 The Chiefs of Defense (CHOD) Conference is a meeting of senior military officials from over 20 countries in the pacific region. Central to its mission is promoting multilateral cooperation among these nations. 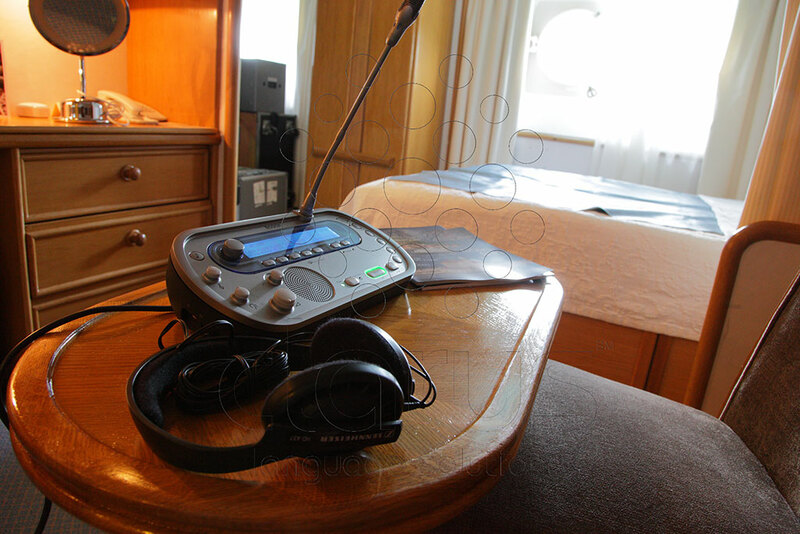 With this aim, the organizers of CHOD conference demand only the best interpreters and equipment.